Lot 2. The Sycamore. MODEL HOME. Room sizes estimated. True Ranch one level with 3 bedrooms 2 baths! Open Living Room with 9 and 11 foot ceilings and fireplace. Luxury kitchen package has wall oven and cooktop. Access the expanded covered deck from the Living Room and Master! Large Master and Bath suite. Main floor Laundry Room. Bay window in Living room and Master. 3 Car Garage walk into Boot Bench area. Tile floor baths.Convenient hwy access to all parts of the city! Just minutes from the Legends. 14501 N 145th Street (MLS #2130676) is a traditional single family home located in Basehor, KS. 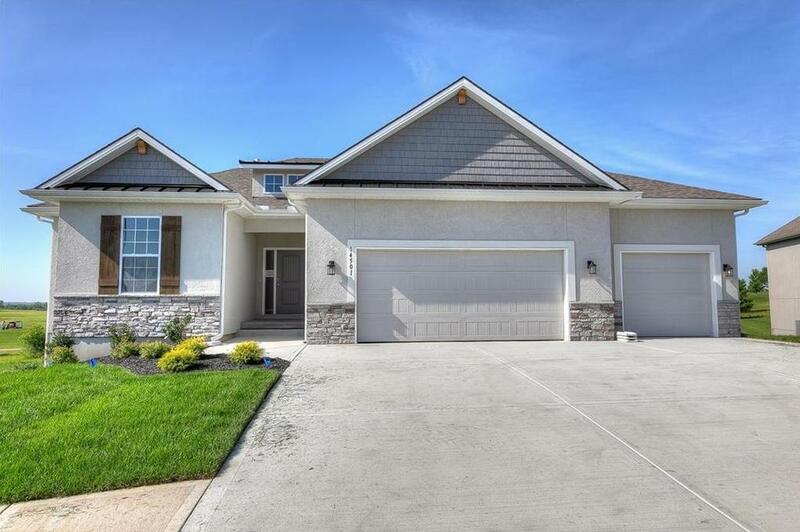 This single family home is 1,835 sqft with 3 bedrooms and 2 baths. This property was listed on 09/19/2018 and has been priced for sale at $446,138. Nearby zip codes are 66012, 66043, 66048, 66086 and 66109. This property neighbors other cities such as Bonner Springs, Kansas City, Leavenworth, Piper and Tonganoxie.